Designed to give you an unparalleled surgical experience in a pristine, comfortable environment using advanced equipment and technologies. While MRI may be less invasive, it’s also costlier and, in some cases, harder to get. Some doctors worry that MRI may be less accurate than arthroscopy. If both kinds of procedures are available to you, you may want to ask your doctor whether he or she prefers one method over the other. It may be that, in your case, one of the procedures would do a better job of finding the source of your knee pain. Since some knee arthroscopies come out “normal,” could the procedure be overdone? Some doctors have asked this very question. 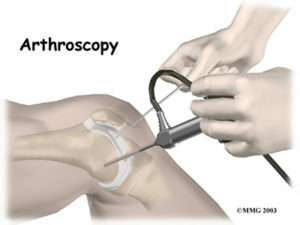 Yet it’s hard to beat the safeness and accuracy of knee arthroscopy. And in some clinics, patients have to wait longer to get them. For these reasons, knee arthroscopy remains the most popular way to look for the source of knee pain. Even “normal” knee arthroscopy results–or finding no abnormality–may benefit the patient. A recent study found that patients with these results were doing much better a few years later. It’s possible that, after learning there were no abnormalities, patients learned to live with their symptoms. Or there could be some benefit from the procedure itself. In any case, a high percentage of “normal” knee arthroscopies may not be such a bad thing, after all. If you are experiencing knee pain, make an appointment with one of our knee surgeons.